Ulysse Nardin is truly a brand that provokes change, one that plays on its own terms. 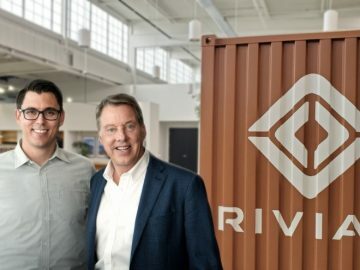 And under Patrick Pruniaux, CEO of the brand since the fall of 2017, audacious perspectives just seem to be the start of things to come. 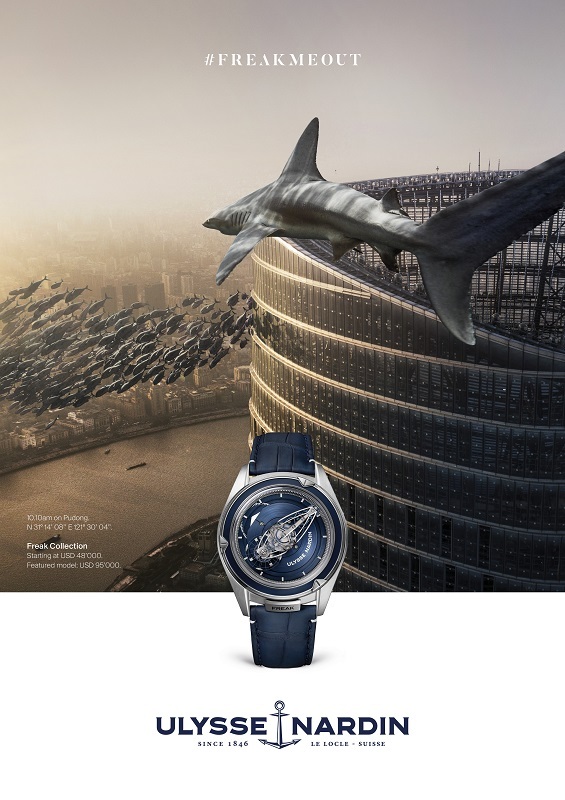 In their new on-line and off-line advertising campaign, Ulysse Nardin pays homage to more than 170 years of marine heritage, albeit while communicating the core values that distinguish it. 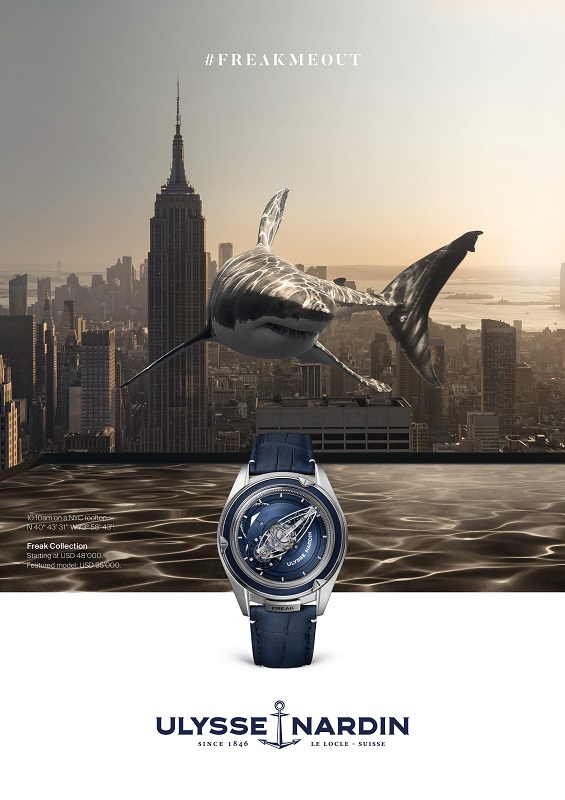 Ulysse Nardin’s new publicity campaign tells the story of one shark’s odyssey through metropolitan New York and Shanghai. This shark represents an off-kilter take on the marine theme, an essential element of the brand ever since its creation in 1846. The campaign, created by the Parisian agency Extreme, sets the “king of the ocean” out of context from the world of water and into an urban universe. Which explains why we see him in the streets of New York and Shanghai, far from the deep waters and reefs that are his natural habitat. Mysterious, instinctive, dynamic and self-assured, this predator is the incarnation of action because if he stops moving, he will perish. 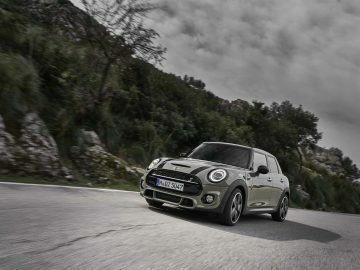 Always in movement, he doesn’t wait for things to change: he provokes change. 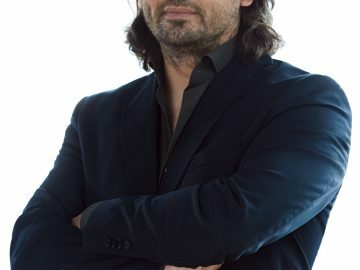 Powerful, distinguished and efficient, we associate him with success in the world of business and finance. This new visual identity accompanies a global strategy in which the world of the ocean remains at the forefront of the brand expression. This message pays homage to the principles of freedom and innovation that have always guided the brand’s creative dynamic. Ulysse Nardin is speaking to modern explorers, to today’s Ulysses, to those who make their own rules, weigh the anchor and swim against the tide.